So what happens at the bridal preview session? The point of the preview session is for us to get some time to talk about what you want from your big day. 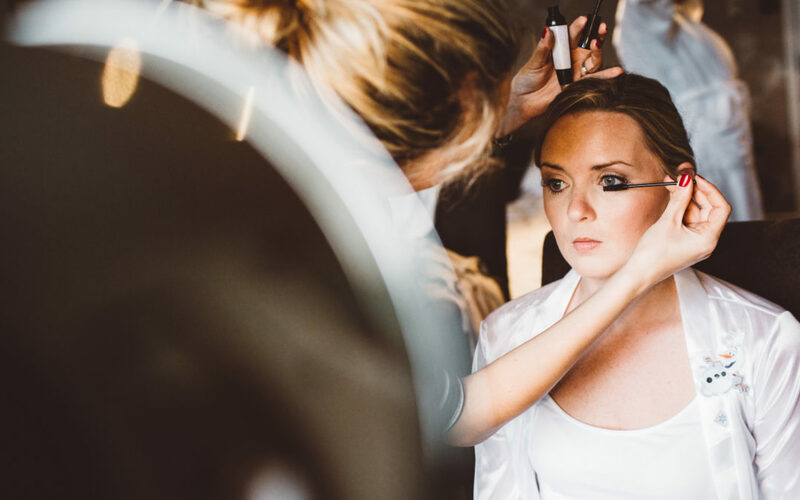 We start with a consultation, you can tell me a little about the plans you have for the day, what you’re wearing, your theme and colour choices – and together we can develop an understanding as to what you want to look like and how we are going to make your look compliment all of these other factors. The session lasts around 90 minutes for hair or make up, and around 2 1/2 hours for both. We will create your look, based on the things we discuss, so you can actually see what you’re going to look like on the day itself! Do I need to bring anything? A lot of brides come prepared with a Pintrest board so I can instantly see what ‘kind’ of wedding style you are working towards. If you don’t have Pintrest – fear not! You can show me some pictures of things you like – and especially things that you don’t! This is really important as it leads me to gain a much better understanding of what you expect and require from me. Oh, and if you have a veil or accessories then bring them along too! Shall I wash my hair or take off my make up? Please come to your make up preview appointment make up free. This allows me to see your skin, your natural colouring etc and means that we can proceed straight into make up application. In regards to washing your hair , ‘day old’ hair is easier for me to style, really clean and soft hair can mean that I end up having to use a lot more product to manipulate it into the shape I want. Please do not curl or straighten your hair before your appointment, let it dry into it’s natural state if you can and then i can take it from there! Can I only try one look? This is totally up to you. If you know exactly what you want then I will create this look first. If you are certain that it’s what you want upon seeing it in ‘real’ life then – perfect! However, as we go along I might be able to make some suggestions or tweaks that you might appreciate, or as we create the style you may decide that actually it isn’t quite right for you. Either way I am more than happy to show you an alternative – you are welcome and encouraged to take lots of pictures so you don’t have to make any instant decisions either! When can I have my preview session? I can be flexible in regards to timings when it comes to preview sessions. generally morning slots ( when available) fill fast. Most of my mornings are spent with brides on their wedding day so I tend to schedule preview sessions in the afternoon. I offer both evening and weekend availability so if you work or are restricted in any way then just let me know and we can work something out for you. What if I change my mind? Not a problem. You can book as many preview sessions as you like! Each session is charged separately but there is no limit to the amount you can book! If you don’t feel that you need another session , you just want a few things slightly different on the day itself then that’s fine. Just make sure you let me know before hand so I can come with everything I need! Like I said if you need anything else then please do just ask! Stay up to date with what I’m up to and get lots of bridal inspiration from my Instagram and Facebook pages too!